I was having a discussion with a friend of mine who was complaining about how bad the world is today, and I kept telling him that he needs to get some perspective. I told him to compare how things are to how they were ten, twenty, fifty, and one hundred years ago. Unfortunately, I didn’t have all my facts at the time. Now I do. It was by chance that I came across the book, Factfulness: Ten Reasons Why We’re Wrong About the World – and Why Things Are Better Than You Think by Hans Rosling, which is extremely eye opening. Rosling was an advisor to the World Health Organization and UNICEF, along with being a medical doctor and professor. He has stated that it is amazing how much people in general and people in power specifically, don’t know the real facts. As a matter of fact, Rosling came up with a set of 13 fact questions, and has shown that a group of chimpanzees could answer the questions better than groups of people. Even top business and political leaders at the World Economic Forum in Davos couldn’t get two out of three questions right. This in spite of the fact that they all should have had this data at their fingertips or the top of their heads. What questions, you might be wondering. Here is one example. How many of the worlds one year old children have been vaccinated against some disease? 20%, 50%, or 80%? If you guessed 20% or 50%, you would be wrong. The real fact is 80%. Here’s another one. In the last 20 years, the proportion of the world population living in extreme poverty has, either almost doubled, remained the same, or almost halved. The answer is almost halved. One more. In all low income countries across the world, how many girls finish primary school? 20%, 40% or 60%? It is 60%. Chapter 2, The Negativity Instinct, has a whole section on how the world is getting better. and so on with many more examples. Those are just some of the bad things decreasing. He also provides facts on good things increasing, such a worldwide literacy rising from 10% to 86%, and child cancer survival rising from 58% to 80%. My favorite chart that he provides showing, in his opinion, culture and freedom, is the number of guitars per million people, rising from 200 in 1962 to 11,000 in 2014. I have barely touched the surface about what is covered in this book. It is filled with anecdotes, graphs, and pictures, and is easy to read and understand. I highly recommend Factfulness. After you read it, you will be amazed what you learn and what you didn’t know. 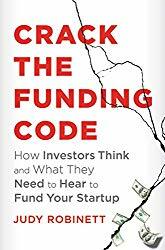 The book, Crack the Funding Code: How Investors Think and What They Need to Hear to Fund Your Startup, by Judy Robinett, is a very extensive but easy to read and understand guide on raising money for your startup. The book covers everything, from finding the right investors, to knowing what investors are looking for, to closing the deal. Probably the most important chapter is Your Funding Roadmap, which covers finding and reaching the people who can help you. The steps pointed out in that chapter are clear and concise. Robinett even covers such topics as what to include in a pitch deck, covered in Chapter 8. There is even a successful pitch deck example shown in the appendix. If you are starting a startup, or need to raise money for an existing startup, I highly recommend that you read Crack the Funding Code. 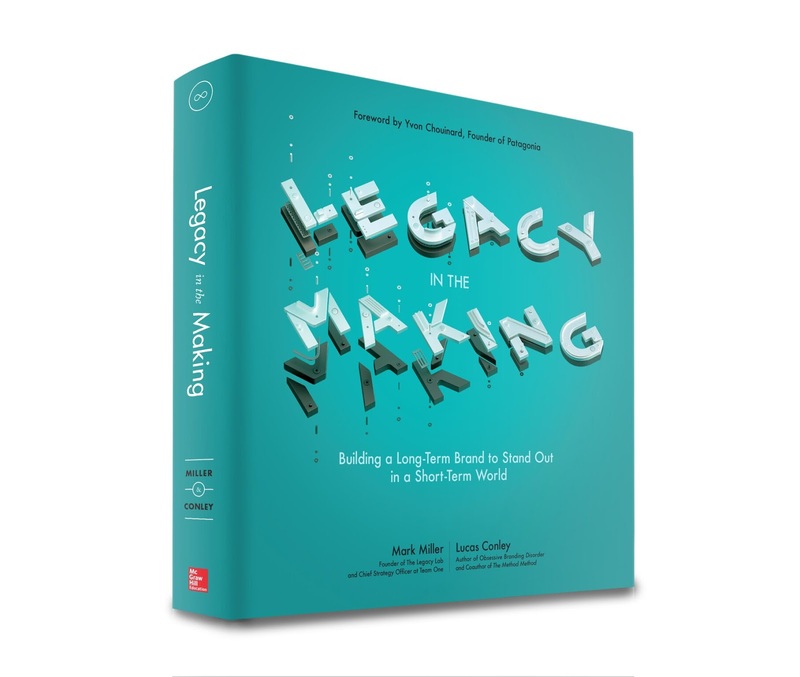 The book, Legacy in the Making: Building a Long-Term Brand to Stand Out in a Short-Term World, discusses the importance of branding your your business and the legacy that goes along with it. It is written by Mark Miller, the founder of the Legacy Lab, and Lucas Conley, the author of Obsessive Branding Disorder. The book is captivating and engaging for several reasons. First, it gives real life examples of extremely successful brands. And the brands are not just limited to businesses, it includes non-profits, sports teams, and film festivals. Second, the book delves into detail about how and why certain successful brands were created, with specific illustrations. For example, in the chapter “Empower Your Believers” on the Ritz-Carlton Hotel Company, the authors talked about how the employees are empowered to create the “Wow Factor” for their guests. Some of the organizations that are examined include The Honest Company, Grey Goose, The San Diego Zoo, The Toronto Maple Leafs, and The Tribeca Film Festival. In terms of the structure of the book, it is filled with pictures, diagrams, blurbs, and quotes. The book is a brand all its own. 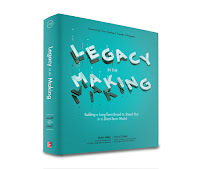 If you own a business or are involved with an organization, I suggest you get Legacy in the Making and make your brand the best that it can be. If you are an entrepreneur or startuper, you need to read Straight Talk for Startups: 100 Insider Rules for Beating the Odds. The book is written by Randy Komisar and Jantoon Reigersman, both of whom have had extensive startup and venture capital experience. I have read several books relating to startups, but here is what I like about this one. Straight Talk for Startups has recommendations and advice that you won’t find in other books about running a startup. If you are looking to be acquired, choose your acquirer, don’t let acquirers choose you. The authors even provide a sample board meeting agenda. The book is a well-written, easy read, with every short chapter, each a couple pages long, representing a rule you should follow. There are actually 101 rules in this book, and I believe the last one, covered in the Epilogue is probably the most important. Whether you are thinking of starting a startup, have recently started a startup, or you are at the point of bringing your startup to a new level, I highly recommend Straight Talk for Startups. Are you a coder or startuper who thinks you can come up with a better social network than Facebook? If you do and you are successful, you can win $100,000. Jason Calacanis, an angel investor and entrepreneur who is a leader in the startup world, has come up with a great offer, the "Openbook Challenge". Calacanis's organization, LAUNCH, will be funding seven teams that want to build a billion-user social network which will replace Facebook with a social network that is good for society. Out of an estimated 100 teams that are expected to apply, 20 will be chosen as finalists, then seven teams will be chosen to receive $100,000 (for six percent, from the LAUNCH Incubator Fund) and join the LAUNCH incubator. If you want to know more details about how the competition works, how the finalists and winners will be chosen, and the timeline, check out the Calacanis web site. The Internet of Things is a miraculous marvel of modern technological advancement and innovation. It is the system by which all devices can interact with each other and create massive networks of information and data. We have already seen the system work well in our personal lives as our smartphones now keep our computers up-to-date. In the coming years there will be an ever growing explosion of devices and technologies that utilize The Internet of Things platform. In other words, this will be an unavoidable event when all interconnected devices communicate with each other and allow us to be everywhere all of the time. 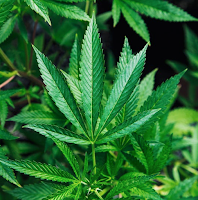 The area of our lives that will be impacted the most, however, is our businesses. Startups specifically are going to completely revolutionize the way they start business and how they operate. The Internet of Things brings with it many changes that owners will have to accustom themselves to so that they are not left behind by the train of technological innovation. How then will IoT change startups? The question is inherently manifold as the technology interacts with so many parts of business from marketing to employee management. The biggest innovations, however, will be in communication and that will change the way startups interact forever. This year we will see the largest exponential growth of wifi-connected devices in history. This means that people all over the world will have access to the internet on devices such as smartphones and tablets. This will increase the amount of communication and interactivity that people all over the world have with one another. For startups, this is an incredibly useful innovation as it then provides potential employees the ability to interact around the world. This can dramatically reduce the cost of hiring employees for startups that are just trying to get their footing. When an owner sitting in Utah can hire a full stack developer in Thailand and communicate clearly at any time then we have made substantial progress in creating a startup world that is conducive to success. The hyper-connected nature of the Internet of Things allows people to access files and applications wherever they are. This can eliminate the idea of having offices all together and can dramatically reduce the money needed for a product to work. Startups rely on every bit of financial sourcing and using any part of that on unnecessary objects hampers the goal of product innovation. The rise of interconnected devices will allow startup owners to save more money without sacrificing good employees and productivity. The rise of telecommute work is only one advantage of the Internet of Things as startup owners will now be able to work on their product wherever they are located. Using the different technologies available will allow startups to operate efficiently and for minimal cost. The nature of these devices is to communicate with one another which will allow all facets of business to increase in productivity but, for startups, this communication can dramatically reduce the need for having multiple devices. Since the Internet of Things has begun to explode we now have web-based applications that can automatically update your smart phone so that you can have entire conferences in your living room. There is nothing in the way for startup owners to operate wherever they are and work on their project whenever they want. For those in material design, the interconnectivity of smartphones with VR devices will allow someone to sculpt and design a product while sitting on the beach. It can allow an entire team to work together in a singular space digitally. Since every part of business is now online, there is never a need for a startup owner to be away from their work or to lose any information. It also allows for employees to have their own schedules and investors to communicate with owners whenever they need to. The Internet of Things will see a rise in the amount of new businesses and will completely change the way businesses operate for the better. The ability for people to access all of the things they need to access online anywhere they are will make for a more efficient world that is healthier and more productive. Having access to instant communication and information will save many businesses from going under. This, combined with automation, will see an explosion in the number of startups created and the number of businesses that succeed. Copyright 2013-2017, All Rights Reserved. . Picture Window theme. Powered by Blogger.